Flooding can result in significant damage to the economy, environment, infrastructure and property. Flooding can be caused by small watercourses, direct surface runoff, the ocean, rivers and below ground drainage systems. There are many different types of flood defenses that have been developed over the years to protect against flooding. The managing of flood risk and the development and implementation of flood defenses has both advantages and disadvantages. Flood defenses can prevent flooding to towns, fields, roads and other infrastructure. While flood defenses can be effective at protecting property and resources, they can also be very expensive to install and maintain. For instance, a 3-foot section of sea wall costs approximately $10,000. If this sea wall can prevent millions of dollars in damage each year, then the potential damage may outweigh the cost. However, if the area is not prone to flood damage, the cost may not be justified. Many types of flood defenses, such as sea walls, offshore bar and rock revetments, provide significant protection to a coastline. In particular, they can deflect waves, absorb wave energy, protect the base of cliffs and stop beach erosion. These flood defenses protect homes in flood zones and decrease the rate of erosion, preventing foundation and structural damage in the long run. They also save money in terms of roadway infrastructure. While flood defenses do protect homes, roads and cities, they also provide protection to natural habitats. Many shorelines are conservation areas, and flood defenses help preserve these areas. Several types of flood defenses, mainly those that are classified as natural systems, promote biodiversity. Wetlands that function as flood plains support a wide range of birds while ponds support newts, leeches and wading birds. While flood defenses can be expensive to construct and maintain, there are several economic benefits to be had. By establishing floodplains and wetland systems to divert flood water, new economic possibilities develop. These wetlands can support tourism and freshwater fisheries. Wetlands also play an important role in water resources as these areas store and filter water pollutants. 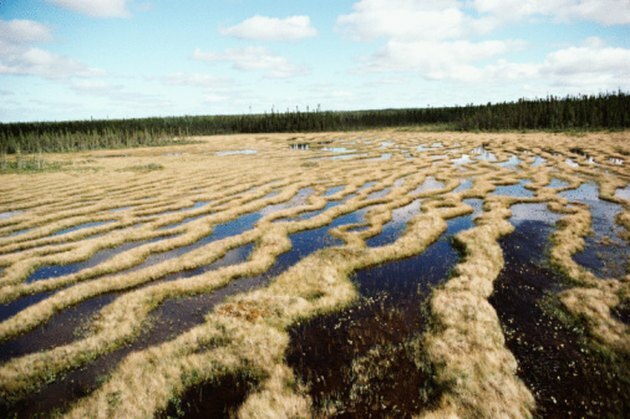 When floodplains are not full of water, they can grow grass and be used as grazing areas.